Does the Elantra still prove sedans have something to offer over hatches and SUVs? In the ‘90s and early ‘00s when small sedans were really all the rage, the Elantra was a forgettable budget alternative. A lot has changed since then, though. SUVs invaded the driveways of the world and Korean manufacturers have moved from playing second-fiddle to the Japanese to the forefront of most vehicle segments. For 2019 the Elantra range has been overhauled with every variant re-named and a new face to match. Do the latest changes continue the Elantra’s charge to the front of small sedan town, or put a damper on its momentum? I spent a week in what's likely to be its most popular variant – the Active – to find out. Our Active spec is the second Elantra up (from the entry-level Go) in a four-tier range, and it comes in at $25,990. To set the scene, competitor sedans include the Honda Civic VTi-S ($24,490), Subaru Impreza 2.0i-L ($24,790) and Kia Cerato Sport ($25,790). There’s also the looming threat of the new-generation Mazda3 and Toyota Corolla which have not yet landed in sedan form. Despite sedans ceding market share to small SUVs, that’s still some tough competition. Good for the Elantra then, that when you’re in the driver’s seat there’s very little to complain about – with a catch. There’s a leather-bound steering wheel, a nice bright 8.0-inch touchscreen which has built-in nav, DAB+ and seamless Apple CarPlay and Android Auto support backed by a premium audio system. Rounding out the package from the outside is auto-folding body-coloured wing-mirrors with indicators on them, 16-inch alloy wheels and LED DRLs. Once you start driving, you’ll also notice it has a high-resolution reversing camera, auto headlights and active cruise control. The active cruise on our test car however, forms part of the ‘SmartSense’ safety pack option ($1700). 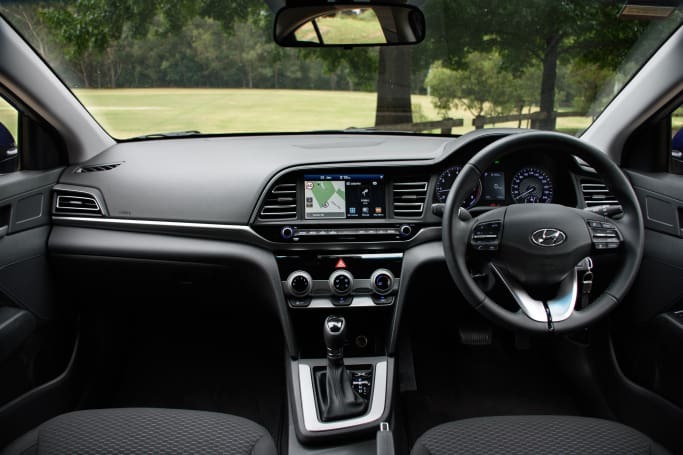 Given essential safety items on the Elantra (AEB, BSM, RCTA, LDW and LKAS – read the safety section for more) are part of the pack, it certainly makes it a real must-tick box, but does put a strain on the Active’s value, pushing the MSRP up to $27,690. You’ll get all the car you really need in 2019 for the money, but as it edges closer to $30k with the $495 ‘Intense Blue’ paint on our test car, I could hardly blame you for looking at higher-spec versions of the Civic (RS), Impreza (2.0i-S) or Cerato (Sport+) where things like a sunroof and leather seats start to arrive. 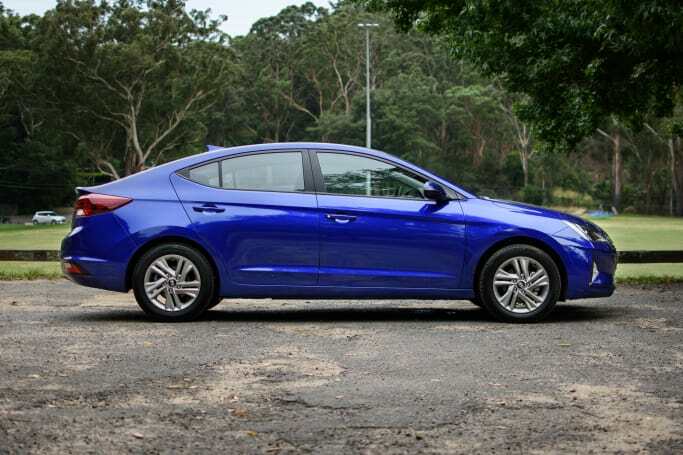 Alternatively, you can look at the Elantra Go which sits $2200 below the Active with the same options ticked. If you do, you’ll get a smaller media screen, no sat-nav and dorky steel wheels. The previous-generation Elantra was in danger of looking really quite sporty. Then suddenly, Hyundai decided to take a sharp 90-degree turn into a business park with this facelift. The chunky edges, scoopy highlights and duck-tailed boot have been replaced with clean straight lines, an over-abundance of triangle shapes and long flat surfaces. Like the big-name Japanese nameplates of the early noughties this new-generation car proudly proclaims E-L-A-N-T-R-A across the boot (remember L-A-N-C-E-R and C-A-M-R-Y?). To be fair, the design language has taken such a turn, it probably needs to ram home exactly what it is so punters don’t get confused. Inside there are wins and losses. Wins include the spongy no-nonsense seats, awesome visibility, plethora of smart storage spaces and sensible placement of buttons and toggles on the dash and steering wheel. Losses include the monotone interior treatment (grey, grey everywhere…) and dire lack of soft surfaces. The latter makes long trips in the Elantra less pleasant than they should be. There’s no soft trim on the doors for your elbow or on the transmission tunnel for your knee. The 8.0-inch media screen is one of the largest in the class, it’s bright, responsive and handles smartphone connectivity with no issues. 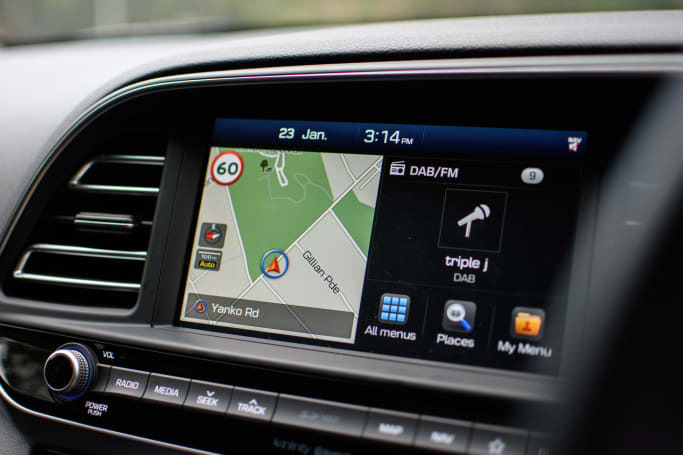 Hyundai’s built-in nav is also a slick operator. It’s a shame it comes embedded in the dash in such an old-fashioned way. 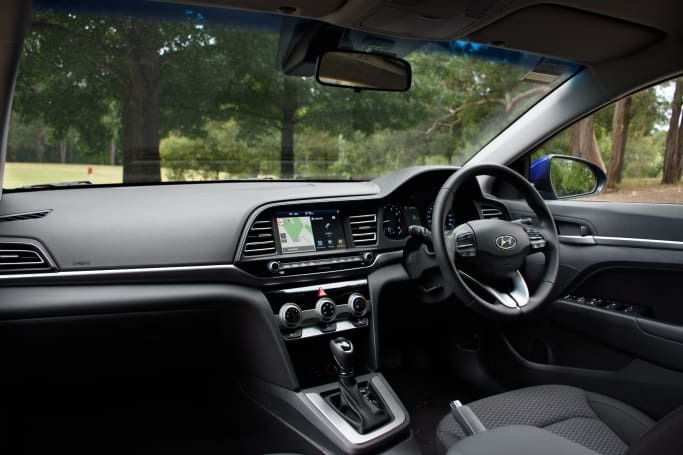 Its cousin, the Kia Cerato sedan, is perhaps more forward-thinking in the interior department. What a lot of people seem to miss about the global SUV takeover is that they aren’t necessarily more practical than sedans like the Elantra (which they are rapidly replacing). 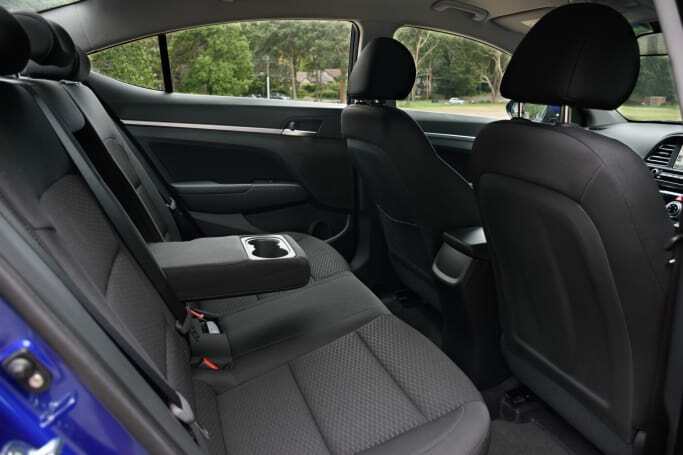 Unlike most small SUVs and a lot of mid-size SUVs, the Elantra proved to have leagues of legroom behind my own driving position (I’m 182cm tall), and despite the curvy low-slung roof, the low seating positions made headroom plentiful in any seat. Rear seat passengers get a bottle holder in each of the doors and a drop down armrest with two more. Sadly, there are no air-vents in the back of the centre console box. A big let-down for Australian summers. 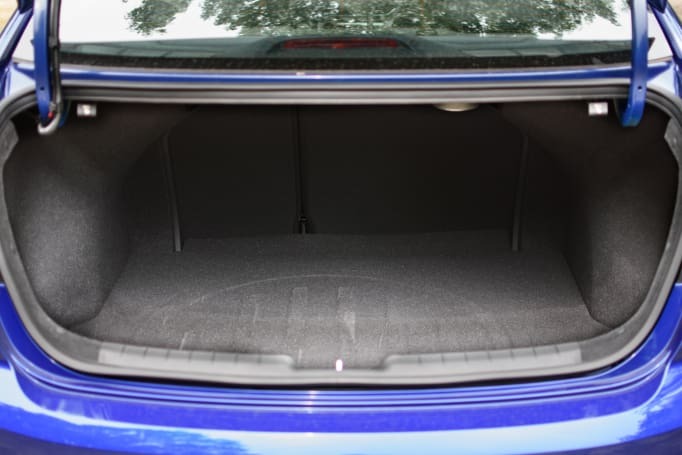 The boot soars with 458 litres of space (VDA), exactly the same as the previous generation. It’s a relatively large space when pitched against hatchbacks and SUVs but is still bested by the Impreza (460L), Civic (517L), and Cerato (520L). Oddly, there seems to be no way to open the boot without use of the remote or the latch on the inside of the car. 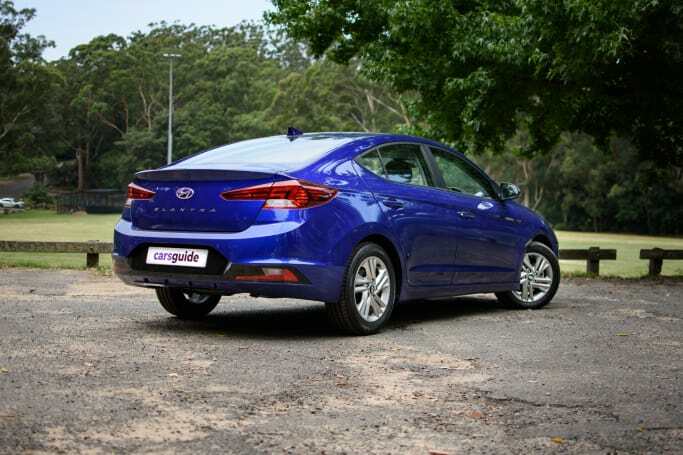 The Elantra Active is powered by a run-of-the mill 2.0-litre four-cylinder petrol engine. It produces 112kW/192Nm and has arguably hung around for a little too long in Hyundai’s stable. Its output still places it roughly middle-of the pack compared to competitors. The Civic VTi-S’ 1.8-litre is less powerful, whereas the Subaru Impreza’s 2.0-litre just edges the Elantra out. It shares the same engine with the Kia Cerato, so they are bang-on par. 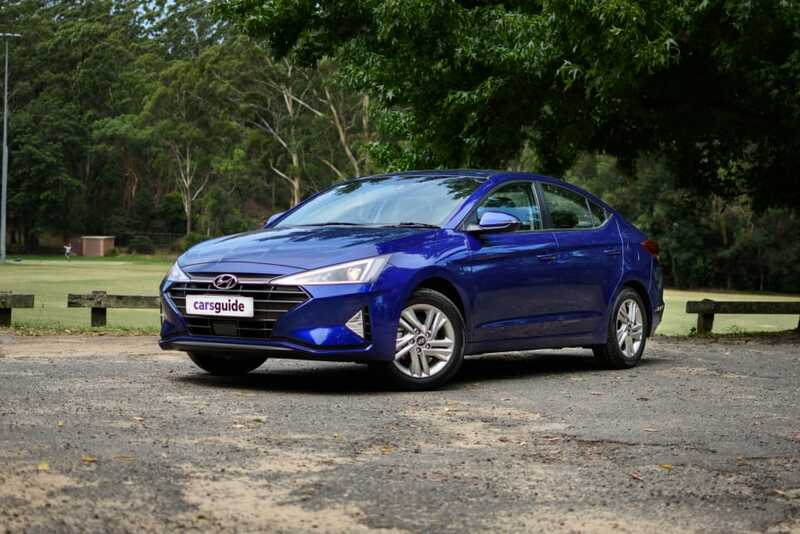 The Elantra has no diesel option unlike its hatchback i30 counterpart, and those pining for more power can pick either the Elantra Sport or Sport Premium which are powered by a punchy 1.6-litre turbo-petrol. 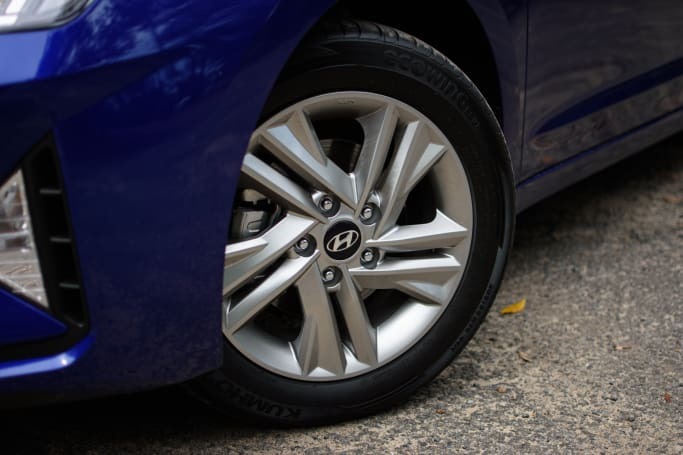 The Active can only be had with a six-speed traditional torque converter auto, and all Elantra variants are exclusively front-wheel drive. The Elantra comes with a claimed combined cycle fuel consumption figure of 7.4L/100km. That sounds high because it is. Especially when compared with turbocharged options which sit further up the price scale. You can expect similar figures from the equivalent Impreza (7.2L/100km) and slightly less from the Civic (6.4L/100km). Over my week of testing I returned a total figure of 8.0L/100km which, in the context of the claimed figure, isn’t much of a variance. 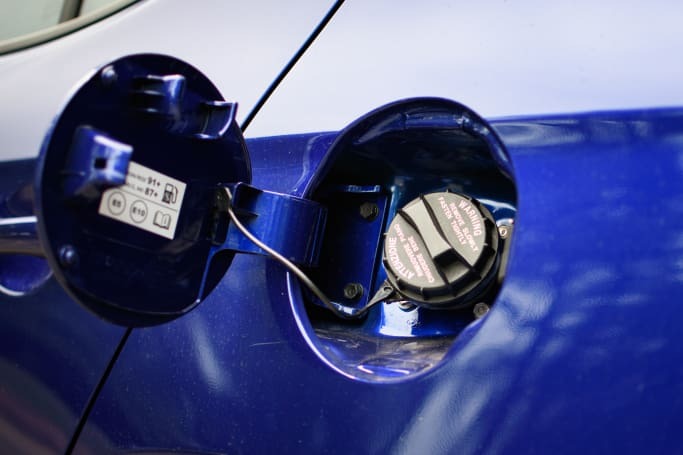 2.0-litre Elantra variants drink base-grade 91RON unleaded and have 50L tanks. The Elantra is a pleasure to drive, plain and simple. The engine’s performance is adequate. It’s got plenty of immediate go to it but weakens in the middle of the rev range. It’s also reasonably quiet until pushed beyond 3000rpm where it begins to make a racket. 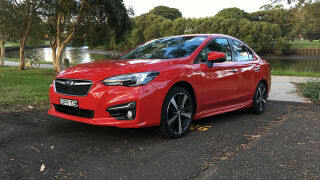 Thankfully, it doesn’t feel as underpowered as the Impreza’s 2.0-litre, although the Subaru’s engine is expected to carry the extra weight of an AWD system. It’s the steering and suspension which really give the Elantra the edge, though. The suspension, as with most Hyundai products, proved excellent despite being comprised of a budget torsion beam rear and the usual MacPherson strut front. It’s all down to Hyundai’s local tuning. It’s tight in the corners and over lesser bumps, yet is able to soak up the larger stuff without getting uncomfortable. Sure. It’s not as slick as the suspension offering on a VW Golf. But it does a darn good job at the price. The six-speed auto makes itself unknown in the best possible way. 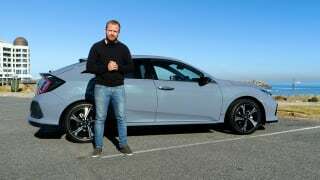 It has no nasty characteristics like the CVT competition in the Impreza or Civic and streams through the gears with ease. The seven-speed 'DCT' dual-clutch auto and 1.6-litre turbo in the Sport is a spicier experience, but the Active still has plenty of potential for a bit of every-day enjoyment. The active cruise control (again, part of the necessary $1700 safety pack) makes freeway driving a breeze, although above 80km/h tyre noise becomes quite evident. Okay, so this safety section comes with the caveat that you must have the $1700 safety pack as our car was fitted with. 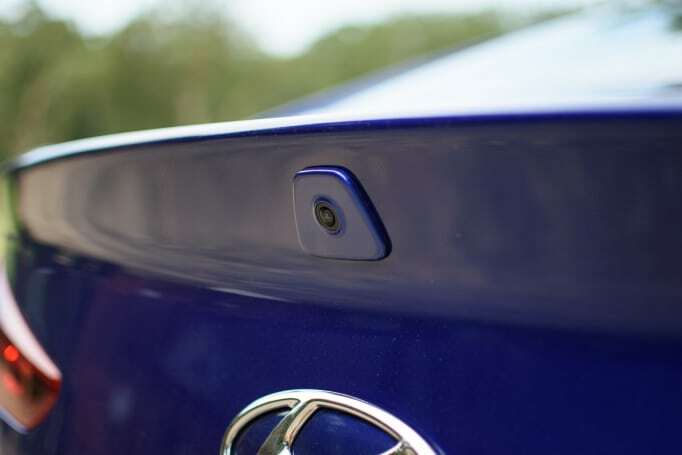 It adds the now-necessary auto emergency braking (AEB) which works up to freeway speeds, blind spot monitoring (BSM), lane departure warning (LDW) with lane keep assist (LKAS), rear cross traffic alert (RCTA) and active cruise. Annoying you have to tick the box to get any of that, but it’s well worth every cent. It’s worth noting Subaru’s active safety offering is largely standard, but the Civic only gets similar equipment in the much more expensive VTi-LX grade. Passive safety refinements include front and side airbags and curtain airbags, the expected stability controls and ISOFIX child seat mounting points on the rear outside seats. There are top-tether points across all three rear seats. The 8.0-inch screen also hosts a very good reversing camera feed. This MY19 Elantra has not been tested by ANCAP, but its largely similar predecessor was rated a maximum five stars from 2016. A boost to safety for long-distance drivers includes the full-size alloy spare under the boot floor. 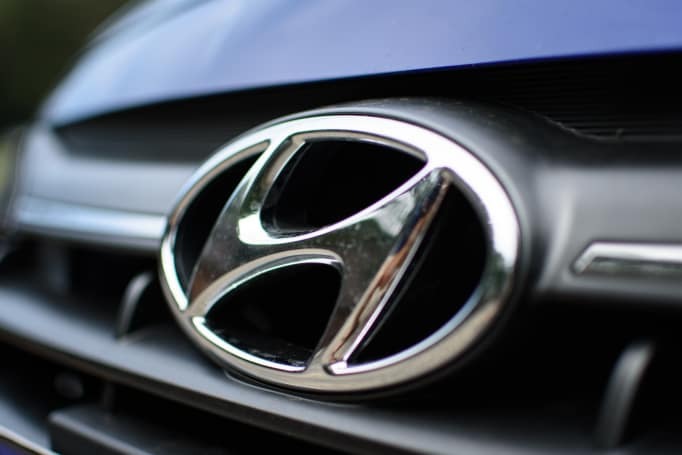 Hyundai offers a five-year/unlimited kilometre warranty across its entire range. 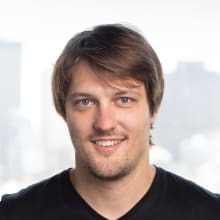 This is bang on par with most competitors, and the list of rivals offering less is near non-existent. 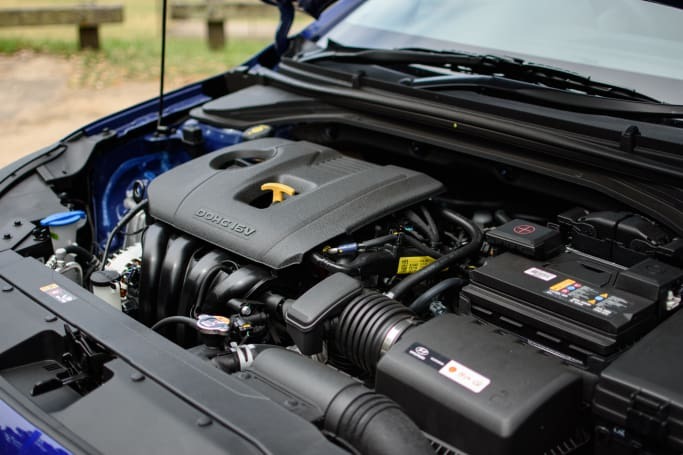 The mechanically similar Kia Cerato is available with a seven year warranty, however. The 2.0-litre Elantra requires servicing once a year or every 15,000km and servicing is priced at a very reasonable $263 for the first three services, jumping to $364 for the fourth year. Pricing according to Hyundai’s factory schedule is set all the way out to 168 months/210,000km and even goes beyond that with Hyundai’s 'iCare' pre-paid servicing program. The Elantra might not catch as much of the limelight as its i30 sibling, but it’s just as well-equipped and fun to drive. It’s a shame that even the Active doesn't get some of those active safety items as standard, but even once that optional safety box is ticked, it still represents decent value. For those wanting to veer further away from the $30k mark, consider the Elantra Go with the safety pack instead. It’s almost as well equipped for quite a bit less. Do you like the Elantra’s new look? Tell us what you think in the comments below. 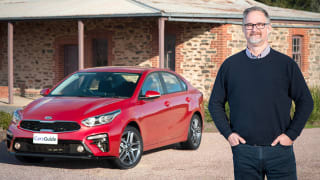 Kia's best selling car is the Cerato, and the third generation sedan will go up against category-leading rivals like the Toyota Corolla, Mazda3 and Honda Civic in the shrinking small car category. Subaru wasn't kidding when it said its new Impreza would be the foundation of its future, as unlikely as it seemed in an SUV-shaped world, so what is it about its small sedan/hatch that's so popular? If you think the new Civic Hatch looks little lower-slung than its sedan sibling, that can likely be attributed to the crushing weight of expectation placed on its little metal shoulders.